What’s inside: How to lose weight while breastfeeding – 5 surprisingly simple tricks that worked for me! 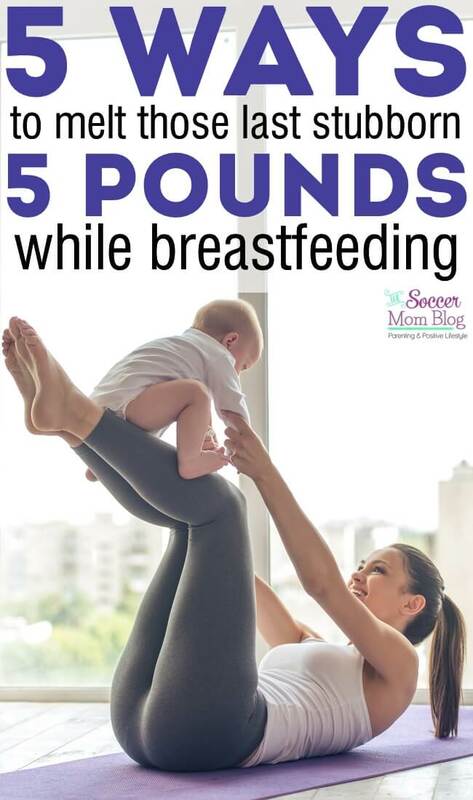 Throughout my journey, I’ve read quite a few weight loss tips for breastfeeding moms. Some are legit, some are a joke, so I wanted to share the ones that really made a difference for me. We all have that one friend that doesn’t even look like she had a baby. So what’s her secret?? 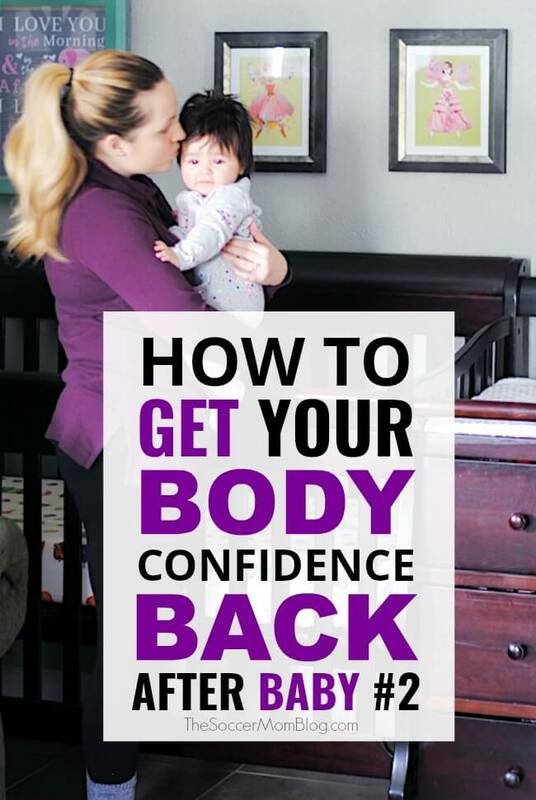 You’ve probably heard that if you breastfeed that the weight will “just fall right off” and perhaps one of your friends or relatives has done a little humble-bragging about how they are skinnier than even before they were pregnant. Ok, well it might work for some mamas. (Lucky!) But it won’t work for all of us. FACT: Breastfeeding does burn calories, but sometimes not enough to lose weight. The amount of calories burned as a result of nursing varies widely from person to person. So don’t count on breastfeeding to be the “secret” weight loss weapon. Essentially, this hormone causes your body cling to that last little bit of baby weight. Sort of like your body is worried it will “run out” of nutrition for the both of you and is keeping those fat stores as an insurance policy. That seems to have been the case for me anyway. I worked out (and still do) daily. I don’t eat dairy or gluten. I thought I was doing everything right (without being obsessive about it). But I still couldn’t get those last few inches to budge. Once I made a few simple switches to my routine, I finally saw the results I wanted. The good news: you can do it too! Don’t worry, I won’t keep these “secrets” to myself. 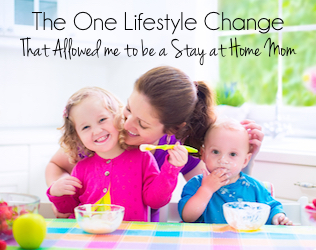 I’m passionate about sharing healthy lifestyle tips for other moms to live their best lives too, so I love to share things that have worked in my own life. Keep reading to learn how to lose weight while breastfeeding — what actually worked for me and could help you too! These are all things I did to lose weight without losing my milk supply. While we can’t control our hormones, there are things we can control that might be unintentionally sabotaging your weight loss efforts. How to Lose Weight While Breastfeeding without Losing Your Milk Supply. One of the most important considerations when nursing is that you want to lose weight without losing your milk supply. These weight loss tips for breastfeeding moms can help to shed the pounds, while maintaining a healthy milk supply. I’ve included affiliate links for products I use and love that I think you might love too; disclosure policy available here. I know so many people that skip this meal, but breakfast is crucial! Think of your metabolism as being like a car engine sitting in idle after you’ve been asleep all night. If you don’t put some fuel in the engine to kick start your metabolism, it will continue to sit in idle until you do! When your metabolism isn’t running at full speed, then you’re not burning as many calories as you could be. Think you’re too busy for breakfast? Think again! I say this often, but I can’t say it enough! Breastfeeding moms need more water that normal, and dehydration can be easily mistaken for hunger. (Plus it just makes you feel all-around crappy!) Drink water, feel full longer, and feel better all day long! Related: These 3 easy switches helped me to drink more water every day…without even thinking about it! 3. Squeeze in Exercise…wherever you can! 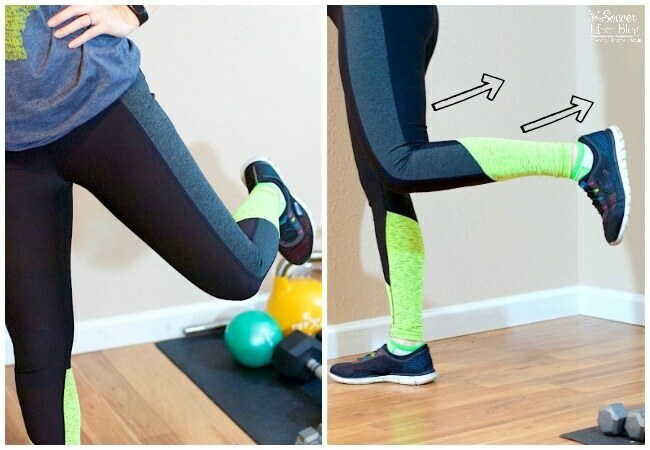 Don’t miss: This is the 5-minute Glute Toning Workout that I swear by!! When the weather is nice, pop the baby in the stroller and start walking — it’s good for the both of you! (Read: 10 Awesome Benefits to Walking) Finding time to exercise can be hard with a newborn, and especially if you have other children too, but if you get creative you can make a work out happen just about anytime, anywhere. An extra benefit of exercise: Not only will increasing your activity level help you lose weight while breastfeeding, it will make you feel better too! Studies show that exercise can help prevent and lessen the effects of pregnancy-related and postpartum mood disorders, like the “baby blues” or even postpartum depression. If you do better with a structured workout routine, I’d highly encourage you to try P90X3. My husband and I decided to give it a try because he loved an earlier version of the program and this one is only 30 minutes a day. Ya’ll this whipped my booty into shape! The “after” photo of me below is after I’d done about 2 months of the program and NO dieting! Late night snacking (even if it’s healthy-ish) can majorly undermine your weight-loss efforts. Remember that engine? Well it’s winding down in the evening, getting ready to go into idle for the night. Sometimes it’s not how much we’re eating, but it’s what we’re eating. Even if you’re watching the amount of food you’re taking in, if it’s not the right kind of food, it can still stick around. I never count calories or diet while breastfeeding — the baby is my number one priority and I don’t want to negatively affect milk supply. However, I make an effort to choose foods that provide nutrition: fruits, veggies, lean proteins, and complex carbs (quinoa is my favorite). 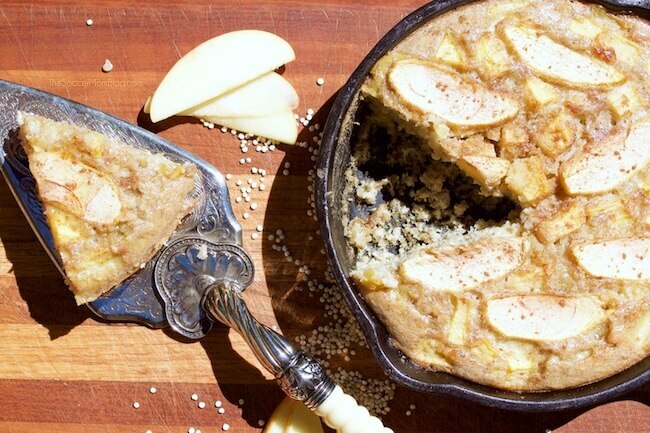 You’ve GOT to Try This: Quinoa Apple Cake is the best breakfast, dessert, or anytime recipe that tastes so good you won’t believe it’s healthy! If you’re filling up on good things, you won’t be as hungry for the “bad” stuff. 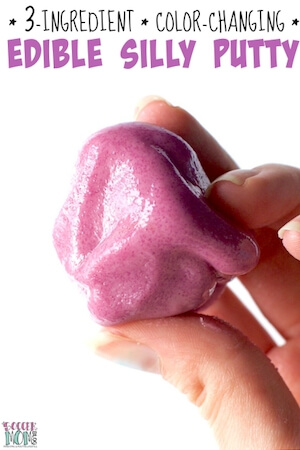 Plus, once you get it out of your system, you might be surprised how much you don’t miss it! Keep at it and keep your head up!! Don’t get discouraged if the weight doesn’t fall off as quickly as you expected! 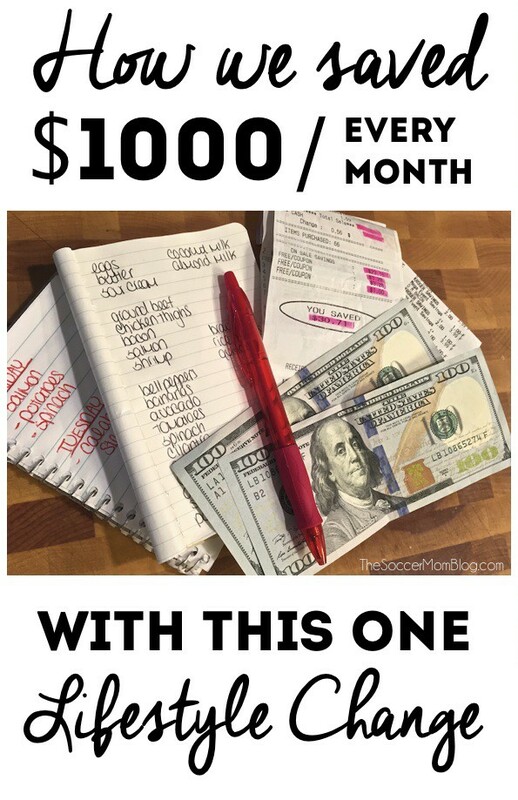 Losing weight is hard and trying to lose 20, 30, 40, or more pregnancy pounds is going to be work! But you CAN do it! To prove it, here are two photos of me, less than a year apart. I lost the baby weight with hard work, time, and without crazy diets. I’m just a normal mom, who’s not even super comfortable posting a photo of myself in a bathing suit, but I want to show the real results! You CAN do this too! 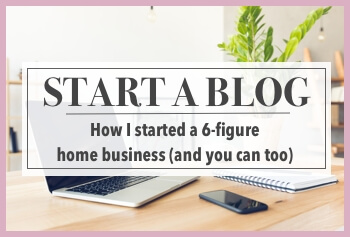 YOU MIGHT ALSO LIKE: The Best Breastfeeding Products & Pumping Gear – my comprehensive guide to all of the things that helped me reach my nursing goals. Full of great gift ideas for the new mamas in your life! Read more of my own post-baby weight loss journey and tips here. Disclaimer: This post is based on my own personal experience; I am not a medical professional. Your results might be different than mine. Always consult your physician before starting a new diet or exercise routine. 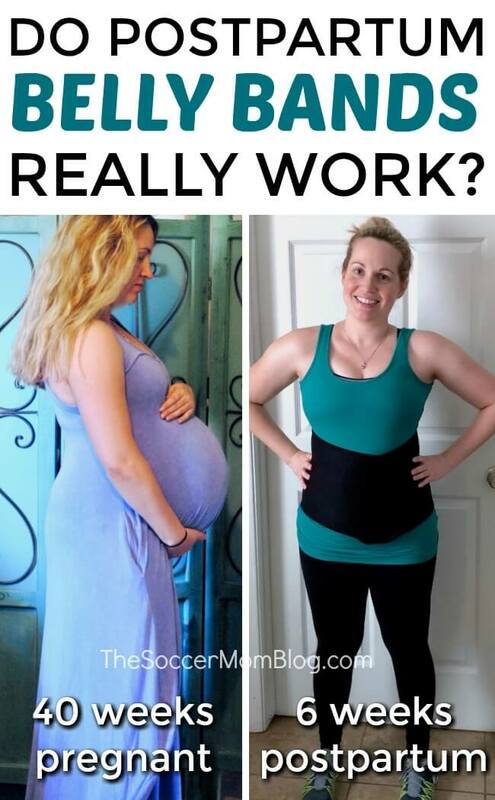 Do Postpartum Belly Bands Work? Get outside and get fit with my Mom & Me Playground Workout! This is great! I’m trying so hard to figure out how to exercise with baby, and yes when I don’t keep up with my water I find myself mindlessly snacking. Hi Dana, thanks for letting me know you liked the post! Sometimes finding time for exercise means that I’m working out at 10pm after the girls are asleep and I’ve cleaned the kitchen. Sometimes it’s during nap time. Sometimes I play music the girls like and they dance while I do cardio. Whatever works 🙂 It can be a sacrifice, but you deserve it! Exactly it’s challenging for me too.. 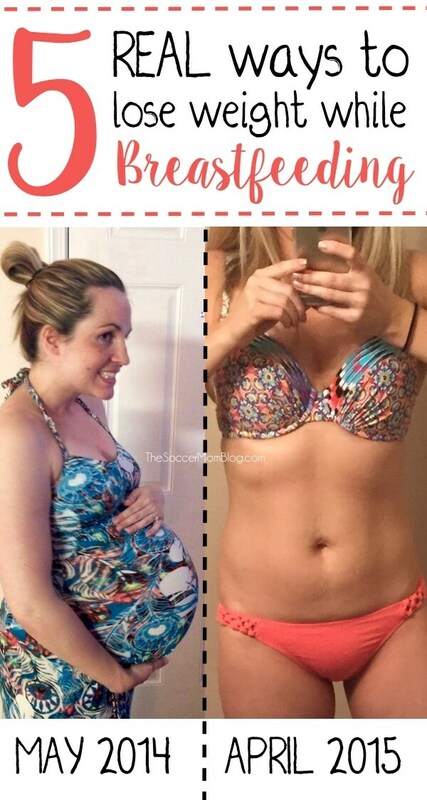 I have started a natural tea blend mummy magic weight loss tea after two months of my baby birth and lost whole pregnancy weight (35lbs) and belly bulge without working out. Hey Diana, Thanks for the informative post. I liked it. It will be helpful to many moms out there who are struggling with weight issues during breastfeeding period. Yeah, drinking a plenty of water and daily workout does help. 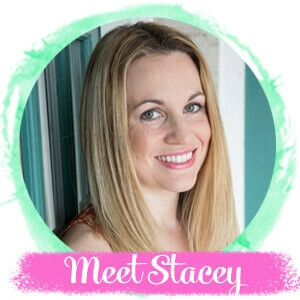 Glad you liked the post Priya – my name is Stacey, btw.